A well-known Chattanooga author and counselor fell to his death at the Stone Door Overlook in the Savage Gulf Natural Area in Grundy County on Friday. State park officials confirmed that the body of Dr. Ross Campbell was recovered early Saturday morning. Spokesperson Meg Lockhart said a search for Dr. Campbell began after family members reported him missing late Friday. He had gone alone sightseeing to the Stone Door section of the natural area near Beersheba Springs. Ms. Lockhart said park rangers were able to confirm late Friday that Dr. Campbell had fallen some 120 feet to his death at the Stone Door Overlook. She said he had a map with him and was apparently out sightseeing. He was in his 70s and had some difficulty with his back and in walking, she said family members stated. A number of agencies took part in the recovery of the body, including a rope team from Coalmont. Dr. Campbell this year had moved to Alexian Village on Signal Mountain. He was a former associate clinical professor of pediatrics and psychiatry at the University of Tennessee College of Medicine. He counseled thousands of parents over three decades of practice, then he began a focus on writing and lecturing on parenting topics. His book How To Really Love Your Teenager won the Gold Medallion Award. Other books include How to Really Love Your Child and Helping Your Twenty-Something Get A Life And Get It Now. Dr. Campbell also wrote extensively on dealing with anger in children. In collaboration with Dr. Gary Chapman, he authored the bestselling Five Love Languages of Chi. How to Really Love Your Child, published in1977, has sold over two million copies and has been translated into over 40 languages. 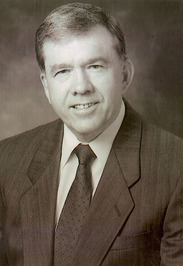 He was the founder of the Southeastern Counseling Center in Chattanooga and served as its director until retiring in 1996. He earned a B.S. degree from the U.S. Naval Academy and served for four years in the Navy. He served his psychiatry residency at the University of Florida’s Medical Center in Gainesville. He also had a residency in adolescent and child psychiatry. Dr. Campbell was featured in a recent edition of the Alexian newsletter. It says he "took early retirement, in part, so he could spend more time writing and working with ministers and their families. For the past 15 years he has lent his expertise in helping to mold the MTM ministry/retreat model including 968 participants from 34 states plus Canada. MTM has touched the lives of approximately 10,000 ministers/spouses since its inception in 1994." His wife of 49 years died in 2005 following a long battle with cancer. He had four adult children and five grandchildren. Dr. Campbell was a licensed pilot and "often used his twin engine, Baron 58, to provide his transportation to and from Wellness Retreats and MTM board meetings at his own expense." A native of New Mexico, his hobbies included hiking, traveling and reading.